Paul and Pinantan Lakes are beautiful lakes just outside of the Kamloops city. Paul Lake is 20 minutes (roughly 21 kilometers) north east of Kamloops and Pinantan is 25 minutes north east (26 Kilometers), just past Paul Lake. Paul Lake is 390 hectares in area with a mean depth of 28.9 meters and max depth of 55.2 meters. There is a provincial campground which attracts a number of visitors in the warmer months. 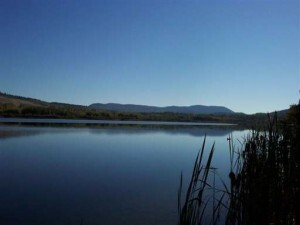 Situated at the provincial park and campground visitors can access a public boat launch. Paul Lake does allow power boats, wake boarding and water skiing. At Paul Lake you can also enjoy canoeing, swimming, fishing (rainbow trout average 3.5lbs), cycling and hiking to name a few activities. Many properties border the lake. The Kamloops Indian Band leases properties for 25 year terms. There are often properties for sale on Paul Lake with water frontage. The annual lease rates range between $3,500 to $5,500 per year. There are a select few properties which are freehold land titles on Paul Lake. These properties tend to be more expensive than the leasehold properties. tennis and unlimited RV parking. Click here to find Paul Lake real estate listings. trails and other outdoor activities in and around the area to enjoy year round. There are a number of homes in the Pinantan, some are used only as summer cabins and other homes are year round residences. 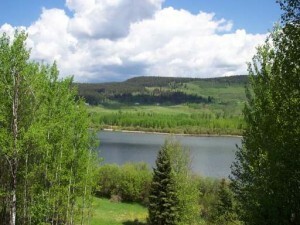 There are a number of MLS listings in and around Pinantan Lake. For more information on Pinantan properties click here. Pinantan 878 metres. 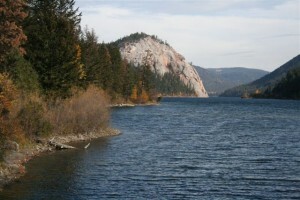 Both lakes offer the opportunity to live rurally with convenience of a short commute to the city of Kamloops.